The world has certainly not moved on much in the past 70 years, it seems. 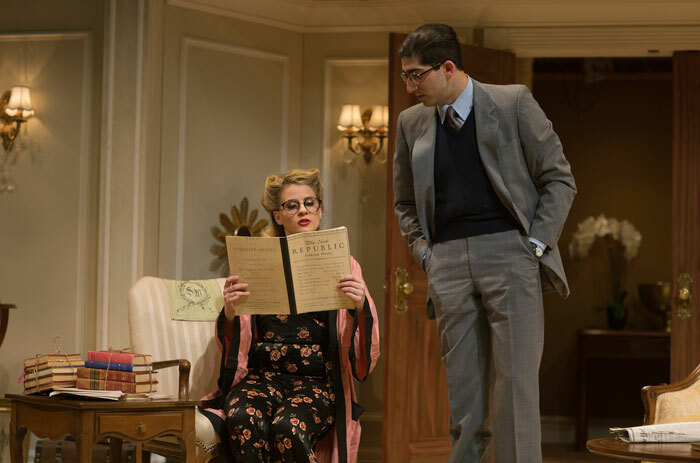 Garson Kanin’s Born Yesterday, currently running at the San Francisco Playhouse, is set and written in the febrile political world of 1946, and clearly shows that money talked then, as we know it still does today. 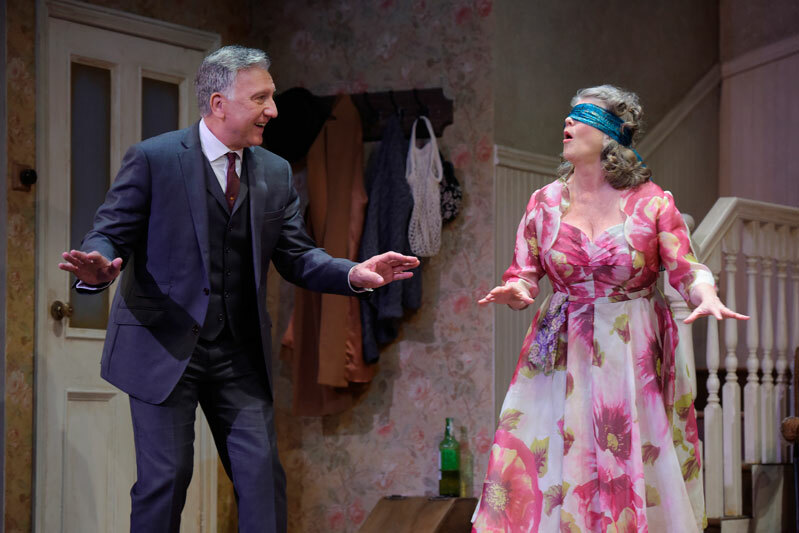 Corruption and politics notwithstanding, though, this is a fabulous piece of theatre – serious in its undertones, but also brilliant comedy – courtesy of Playhouse Directors Bill English and Suzi Damilano. Harry Brock – a self-made but thoroughly unscrupulous businessman – is on a visit to Washington DC to clinch some deals and – while he’s about it – bribe Senator Norval Hedges as well. Tagging along on the trip is Billie Dawn, Harry’s long-suffering girlfriend (or long-term fiancée), a former showgirl with few illusions, if any, as to her potential in life. Harry treats her badly, uses her mercilessly, and she’s the one on whom he takes out his anger, frustration and ill-tempered mood-swings. She’s also the ‘sleeping partner’ in his business, signing – without a murmur and with bored resignation – whatever contracts are put before her by Harry’s legal advisor, Ed Devery, who’s literally being driven to drink, trying to keep Harry in line, and his deals on track. Enter, then, Paul Verrall, a sharp investigative journalist who senses a good story in Harry – and what he suspects to be his corrupt methods of business. He has no time for the shady practices which Harry personifies, and he’s also appalled by the way in which Harry treats Billie. He therefore readily accepts Harry’s offer to take on the job of educating her, and plies her with intellectual reading material, refines her speech, and generally instills in her a sense of self-pride – and ultimately self-confidence. 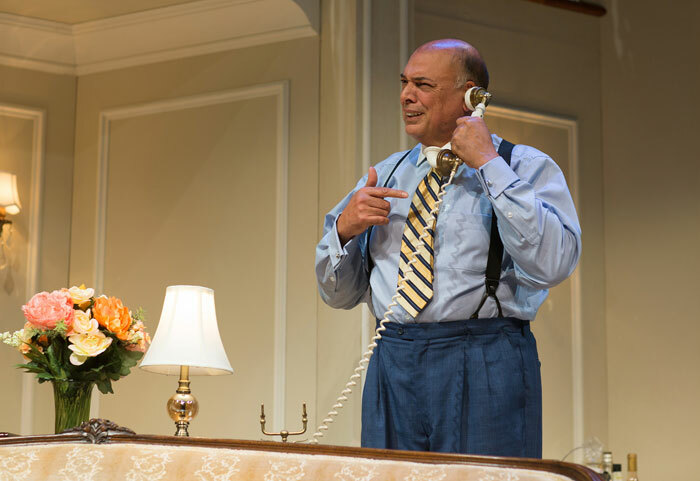 Michael Torres is marvelous as Harry – boorish, uncouth and a typical bully. He’s very defensive about who he is and where he comes from, and little realizes that the worse he behaves, the more idiotic he looks, and the more he gives himself away. Millie Brooks, with a great sense of timing, is immensely appealing as Billie – trying hard to be terribly blasé, but failing to hide her vulnerability and hurt in the face of Harry’s anger. She visibly blossoms, though, as her latent intelligence and sense of responsibility – under Paul’s guidance – are revealed. Jason Kapoor is calm and measured as the journalist, playing him as shrewd, smart and very decisive when he needs to be, but also surprisingly tender in his relationship with Billie. As Ed Devery, Anthony Fusco its wonderfully convincing as the hapless lawyer treading a fine line between humoring Harry and attending to his business arrangements, while trying to prevent his unchecked drinking habit from getting the better of him. Gabriel Montoya is brisk, efficient and commanding as Harry’s son, Eddie, rushing around to make sure that all wheels are suitably well oiled in order that his father’s somewhat dodgy train stays on the track. 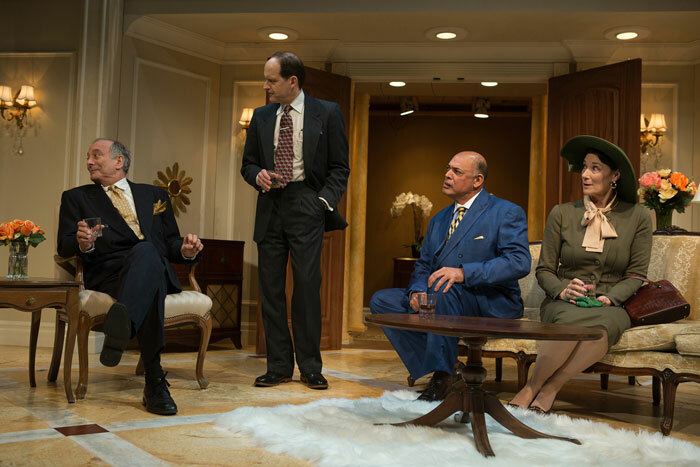 Louis Parnell is always good value, playing the suave and disingenuous senator – who’s never, of course, even heard the word ‘corruption’ – ably backed up by Terry Bamberger as his ever-supportive political wife. In the supporting roles, Marty Lee Jones, Casey Robert Spiegel and Melissa Quine have virtually no lines, but succeed brilliantly in conveying a sense of hilarity by what they don’t say – certainly a case of actions speaking louder than words! Skillfully directed by Susi Damilano. Born Yesterday boasts the imaginative set design that we’ve come to expect from the Playhouse, as well as the high standards of both the creative and production teams. If you miss this one, you’ll probably regret it! 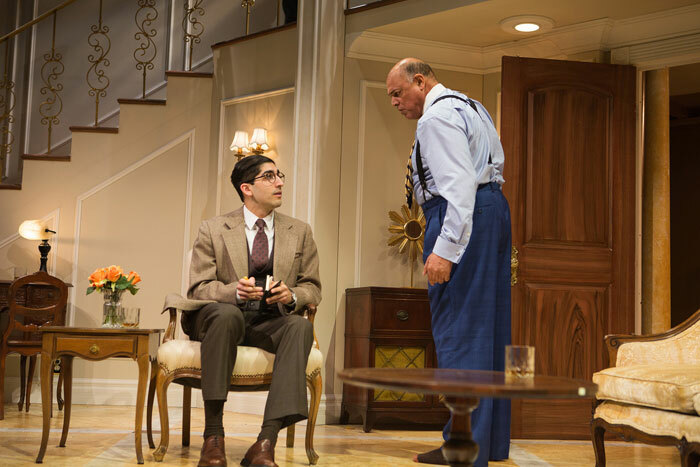 Born Yesterday runs at the San Francisco Playhouse until March 10th. For more detail, and for tickets, visit the Playhouse website. 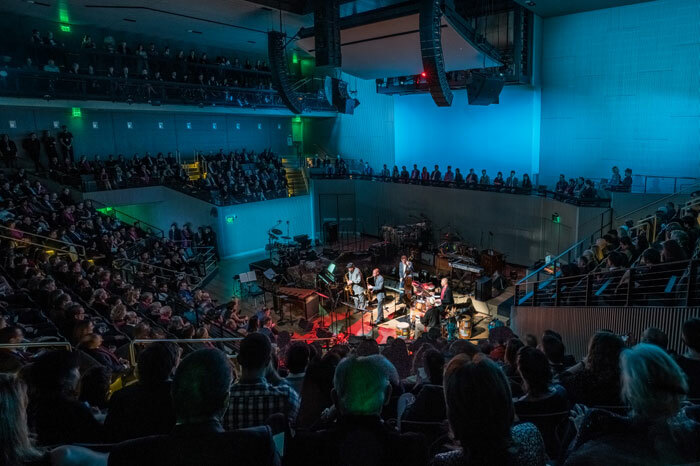 There’s a grand celebration taking place in San Francisco on Thursday, as SFJAZZ pays tribute to Preservation Hall with the presentation of the SFJAZZ Lifetime Achievement Award. Located on St Peter Street, in the heart of the French Quarter of New Orleans, the institution, regarded as ‘the cornerstone of New Orleans music and culture’, looks just like many others that surround it, but the interior throbs with the very soul of one of America’s truest art forms – jazz. On more than 350 nights a year, Preservation Hall plays host to an ensemble drawn from over 100 local jazz musicians who keep the tradition of New Orleans jazz alive. The origins of Preservation Hall go back to the 1950s when the building at 726 St Peter Street housed a small art gallery, whose proprietor – one Larry Borenstein – found that he was unable to run the gallery and attend local jazz concerts, so he started inviting jazz musicians to perform ‘rehearsal sessions’ in the gallery – artists such as George Lewis, Punch Miller, Sweet Emma Barrett, Billie and De De Pierce and The Humphrey Brothers, who became legends in the world of jazz. So popular did these sessions become that the art gallery was moved to the building next door. The performances soon attracted a good deal of attention from the press, and ultimately ownership of the Hall passed to a couple from Pennsylvania, Allan and Sandra Jaffe, who moved to New Orleans to carry on the tradition started by Larry Borenstein. The venue became known as Preservation Hall, and it wasn’t long before the jazz band bearing its name took its music on tour, first to the Midwest, and ultimately as far as Japan. Over the years, the band undertook collaborative tours and recordings in genres other than jazz, such as gospel (the Blind Boys of Alabama), hip-hop (Mos Def), bluegrass (the Del McCoury Band) and rock (My Morning Jacket) – and even ventured into the realms of dance and ballet in association with choreographer Trey McIntyre. 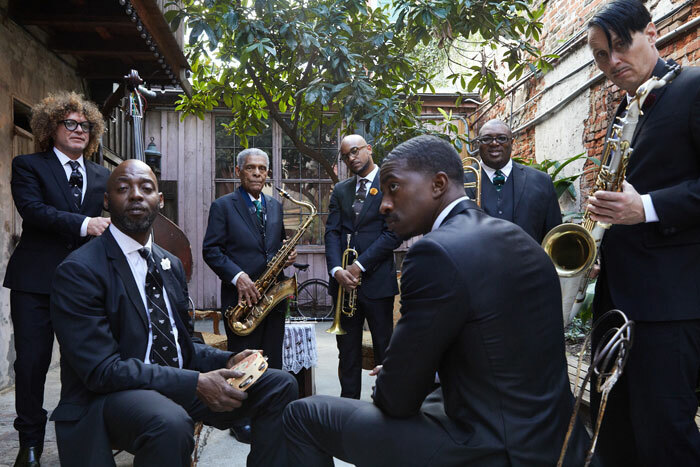 Preservation Hall also has a philanthropic mission – engaging with educational and social programming in New Orleans, and supporting local institutions through disasters such as Hurricane Katrina and the BP oil spill. And that’s not all – the festivities continue with the SFJAZZ Gala After Party which is likely to be a blast, with performances by Galactic and The Original Pinettes Brass Band. If you’d like to take part in this fabulous event, go to the SFJAZZ website for more information and tickets. This weekend, in its Great Performers series, the San Francisco Symphony hosts conductor Thierry Fischer, with the Royal Philharmonic Orchestra and two fabulous French guest artists – cellist Gautier Capuçon and pianist Jean-Yves Thibaudet. 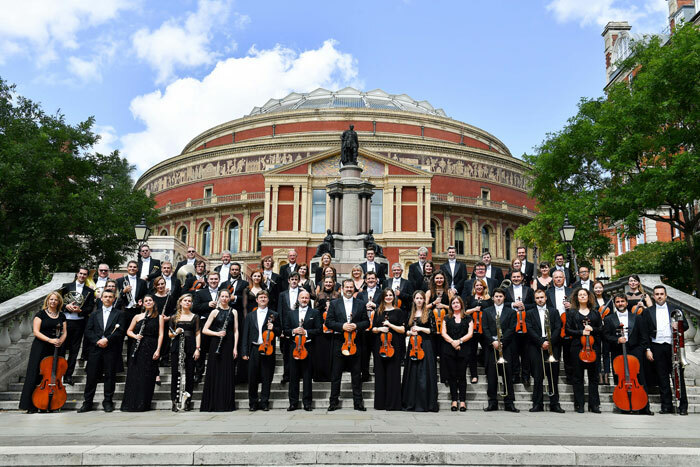 Described by The Daily Californian as “one of the best and most prestigious symphonic orchestras in the world”, the Royal Philharmonic was founded in 1946 by Sir Thomas Beecham, the orchestra’s first conductor. In so doing, Sir Thomas headed a vital revival in the orchestral life of the United Kingdom following the end of World War II, and over the years he was followed by an illustrious list of Principal Conductors – including Rudolf Kempe, Antal Doráti, André Previn, Vladimir Ashkenazy, Yuri Temirkanov and Daniele Gatti. 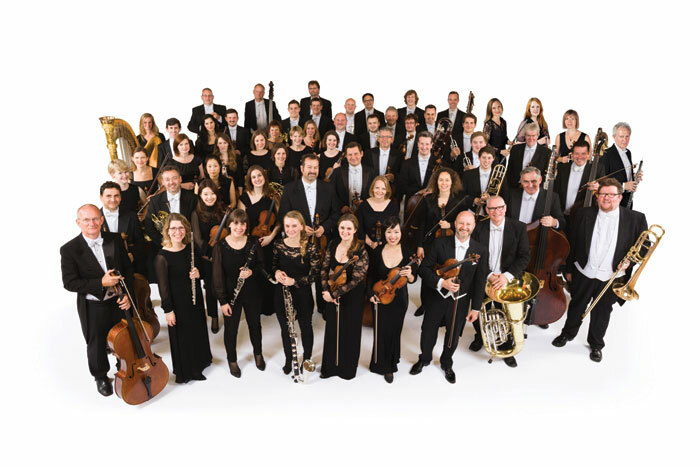 In addition to a vast repertoire of classics, the RPO has also performed works by leading composers of the 20th and 21st centuries, such as Sir Peter Maxwell Davies and Sir John Taverner. The Principal Guest Conductor is Pinchas Zukerman, Principal Associate Conductor is Alexander Shelley, and Permanent Associate Conductor is Grzegorz Nowak. 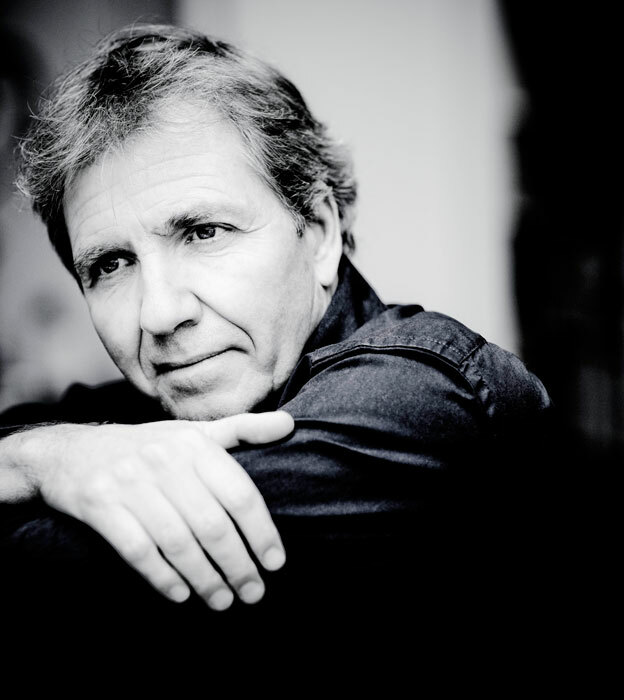 Guest Conductor Thierry Fischer – currently touring with the orchestra – has been Music Director of the Utah Symphony since 2009, and is also Principal Guest Conductor of the Seoul Philharmonic. 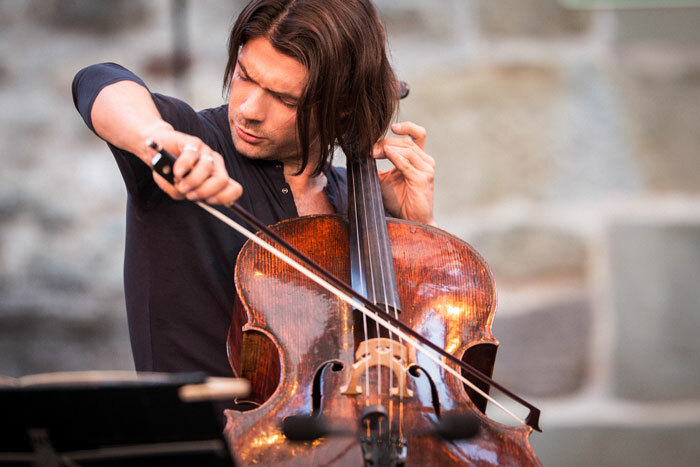 The main work in the Royal Philharmonic’s opening program on Sunday is Haydn’s Cello Concerto No 1, with soloist Gautier Capuçon, who this season is touring widely in the USA, in Asia and across Europe. A Classic FM review of his recording of the Dvořák and Herbert cello concertos – with Paavo Järvi and the Frankfurt Radio Symphony Orchestra – described his “mastery of tone and line – powerful, lustrous, beautifully focused …” as “never less than mesmerising”. The opening work of the concert is Debussy’s delightful Petite Suite, originally written as a piano piece for four hands, but played here in an orchestration by Henri Büsser. A lovely lyrical work, it has four movements, each descriptive of its title – En bateau, Cortège, Menuet and Ballet. The concert ends with Stravinsky’s dazzling suite of his score for The Firebird. This work, inspired by Russian folklore, was commissioned by Serge Diaghilev for a production by his newly-formed Ballets Russes, which premiered at the Paris Opéra in June 1910. Although the composer, at 27 years of age, was relatively inexperienced, he shot to international fame with this score, becoming highly regarded for the originality of his music. Following a performance of The Firebird by the Royal Philharmonic, The Telegraph wrote that it was “both delicately beguiling and packed a punch, proving in the process why this orchestra still matters”. Thierry Fischer leads the Royal Philharmonic Orchestra, with guest artist Gautier Capuçon, in a program of music by Debussy, Haydn and Stravinsky at Davies Symphony Hall on Sunday, January 28th. For more information, and tickets, visit the San Francisco Symphony website. 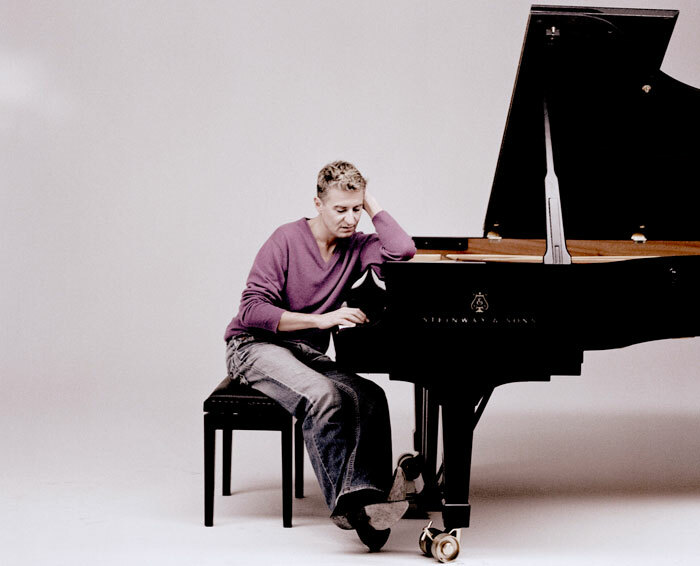 The second of the RPO’s two concerts features as guest artist the brilliant Jean-Yves Thibaudet, making a welcome return visit to San Francisco, with Liszt’s Piano Concerto No 2. In a review of an earlier performance of this work by M Thibaudet, the South Florida Classical Review wrote that “he managed to infuse his performance with elegance and restraint”, adding that in the quiet sections, he “displayed a delicate touch and moulded the melodic contours with great subtlety”. The concert opens with Ottorino Respighi’s symphonic poem The Fountains of Rome, regarded as his best known work. Depicting four of the most famous fountains in the city, it describes the Fountain of Valle Giulia, the Triton Fountain, the Fountain of Trevi and the Villa Medici Fountain. The final work in Monday’s concert is Stravinsky’s Petrushka – another work written for Diaghilev’s Ballets Russes. Like The Firebird, the story also has its origins in Russian folklore, and tells of the sad little fairground puppet, Petrushka – whom Stravinsky described as ” “the immortal and unhappy hero of every fair in all countries”. The ballet – with Vaslav Nijinsky in the title role – premiered in June 1913, at the Théâtre du Châtelet in Paris, conducted by the Principal Conductor of the Ballets Russes, Pierre Monteux, who was later to become Principal Conductor of the San Francisco Symphony. Thierry Fischer leads the Royal Philharmonic Orchestra, with guest artist Jean-Yves Thibaudet, in a performance of works by Respighi, Liszt and Stravinsky, on Monday, January 29th, at Davies Symphony Hall. For more information, and for tickets, visit the San Francisco Symphony website. 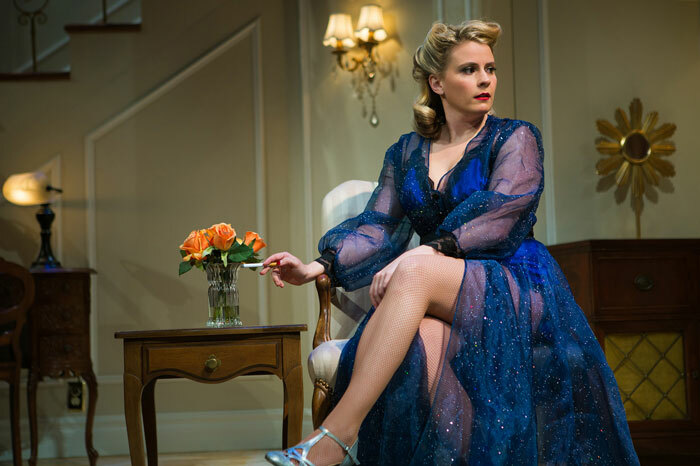 “Delicious, impalpable and hair-raising” is how The Sunday Times describes Harold Pinter’s somewhat surreal and sinister The Birthday Party, currently running at A.C.T.’s Geary Theater. This darkly comic play is set in a boarding house in a rather unremarkable English seaside town. The sole lodger in Meg and Petey Boles’ residence is a pianist, Stanley Webber, who becomes the focus of attention of two strangers – Goldberg and McCann – who arrive one day to take up lodgings at the boarding house, and who have an unsettling effect on him. A birthday party thrown for Stanley turns into a fiasco, and from there the plot turns darker and more menacing. Directed by Carey Perloff – in her final season as artistic director – The Birthday Party stars Tony Award winner Judith Ivey, Stratford Festival star Scott Wentworth, Marco Barricelli and Firdous Bamji. It’s on at the A.C.T Theatre until February 4th. For more information and tickets, visit the A.C.T. website. Also at A.C.T. – but at the Strand Theater – this week, San Francisco Performances presents the PIVOT Festival 2018. Created for “adventurous audiences interested in truly unique arts experiences”, PIVOT was launched in 2016, presenting its performances in informal and intimate settings. The L.A. Dance Project features in the first of this week’s performances (January 23rd), with three works choreographed by Benjamin Millepied – a sensuous pas de deux entitled Closer, the film Hearts & Arrows, which was also directed by the choreographer, and Sarabande, a showcase for a small male ensemble. Pianist Sarah Cahill, violinist Kate Stenberg, the Alexander String Quartet and the William Winant Percussion Group pay tribute to the late California composer Lou Harrison as part of his Centennial Celebration on January 24th. Contemporary classical composer and pianist Timo Andres performs works by Janáček, Caroline Shaw, Eric Shanfield and Christopher Cerrone, on January 26th, and on the final evening of the festival, the Joe Goode Performance Group presents Still Standing (a work in progress) and selections from Hush, on January 27th. For more information visit the SF Performances website. The Metropolitan Opera’s new production of Puccini’s Tosca is Live in HD this Saturday, and will be transmitted to cinema screens around the country. Hosted by Grammy Award-winning mezzo-soprano, Isabel Leonard, this production by Sir David McVicar stars Bulgarian soprano Sonya Yoncheva in the title role, and Italian tenor Vittorio Grigolo as her lover Cavaradossi. Serbian Baritone Željko Lučić is the depraved police chief Scarpia, and the performance is led by French conductor Emmanuel Villaume. Transmitted live at 12:55 pm ET, Tosca will be screened on Saturday January 27th. To check the time of your local broadcast, visit the Metropolitan Opera’s Live in HD website , where you can also see clips of other Live in HD performances. The San Francisco Symphony makes way for international cabaret star Meow Meow (Melissa Madden Gray) this week as she takes the stage at Davies Symphony Hall on Saturday evening. Appearing with Meow Meow is pianist Thomas M Lauderdale – founder of Pink Martini. Meow-Meow and Thomas M Lauderdale are at Davies Symphony Hall for one performance only – January 27th. For more information and tickets visit the San Francisco Symphony website. There must be many lovers of ballet in the Bay Area who are delighted that San Francisco Ballet is reviving its production of The Sleeping Beauty this season – a work which embodies all that’s wonderful about ballet. With its sumptuous courtly setting, elegant choreography, gorgeous costumes, and what’s acknowledged to be some of the greatest music that Tchaikovsky ever wrote, this romantic fairytale has become one of the best-loved ballets in the world. The Sleeping Beauty as a ballet was conceived by Ivan Vsevolozhsky, director of the Imperial Theatres in St Petersburg at the time of its creation, and based on Charles Perrault’s La belle au bois dormant, first published in 1697. Vsevolozhsky wrote the libretto, designed the original costumes, and commissioned Tchaikovsky to write the score. They both met with Marius Petipa – at that time ballet master and chief choreographer of the Imperial Theatres – in November 1888, but so inspired was Tchaikovsky that by the time of this meeting, he’d already sketched out the first few scenes. By June the following year, he had sketched out the entire ballet, and by the end of August the orchestration was complete. It truly was a labour of love, and little wonder that his friend and firm supporter, Herman Laroche, referred to the score as “one of Tchaikovsky’s pearls”. The ballet premiered at the Mariinsky Theatre in St Petersburg on January 15th, 1890. 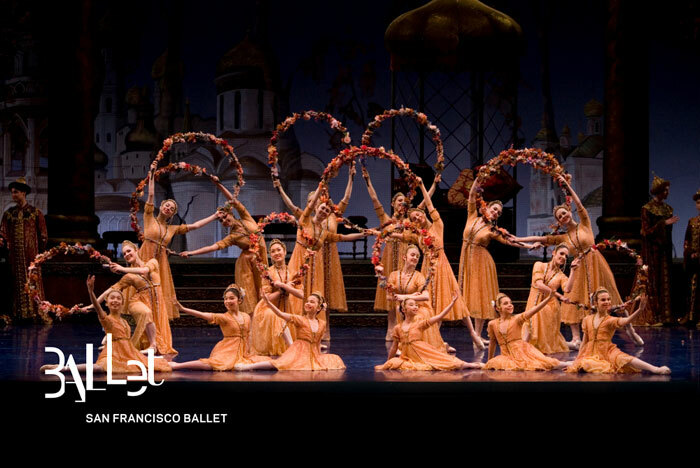 San Francisco Ballet’s production of The Sleeping Beauty is choreographed by Artistic Director and Principal Choreographer, Helgi Tomasson, after Marius Petipa. This production premiered at the War Memorial Opera House on March 13th, 1990, with scenic and costume design by Jens-Jacob Worsaae, using some of the designs which he originally created for the Royal Danish Ballet. Tomasson is indeed fortunate to have a wealth of balletic talent at his disposal, enabling him to cast five different pairs of Principal dancers in the roles of Princess Aurora and Prince Desiré – each of whom is appearing in these roles for the first time in the current production. Taking the Grammy Award-winning San Francisco Ballet Orchestra through this most beautiful of scores is the Company’s Music Director and Principal Conductor Martin West, regarded as one of the foremost conductors of ballet today. Having received part of his training at the St Petersburg Conservatory of Music, he must surely possess an enviable depth of knowledge and understanding of the music of the great Russian composer, who also studied at there. San Francisco Ballet’s production of The Sleeping Beauty runs at The War Memorial Opera House from January 23rd to 28th. For more information, and to reserve tickets, visit the San Francisco Ballet website. Michael Tilson Thomas and the San Francisco Symphony certainly have form when it comes to presenting successful concert versions of stage productions – be they operas, such as Britten’s Peter Grimes, or Broadway musicals like Bernstein’s West Side Story and On the Town – so in this centennial year of the remarkable Leonard Bernstein, what better than a concert version of his comic operetta Candide! 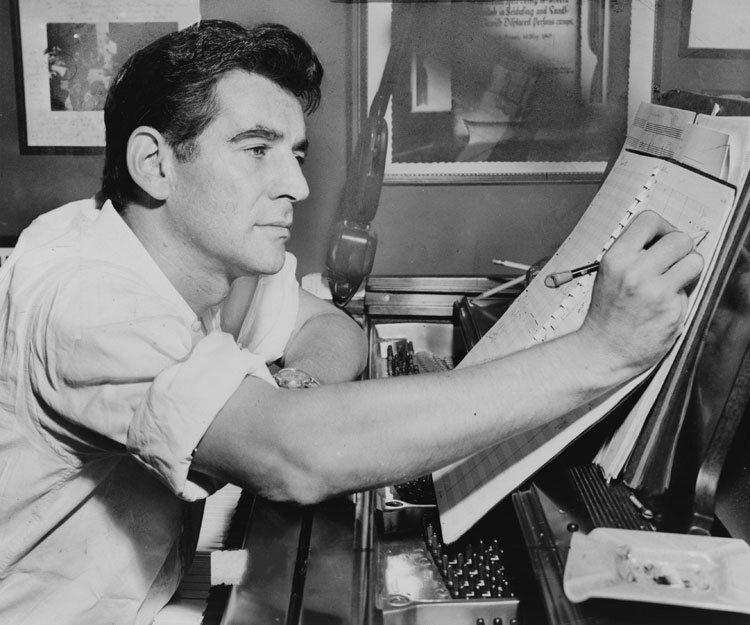 Inspired by Voltaire’s 1758 satirical novella on the fashionable philosophies of his day, the adaptation of Candide as a musical was originally suggested to Bernstein by playwright Lillian Hellman, in 1953. 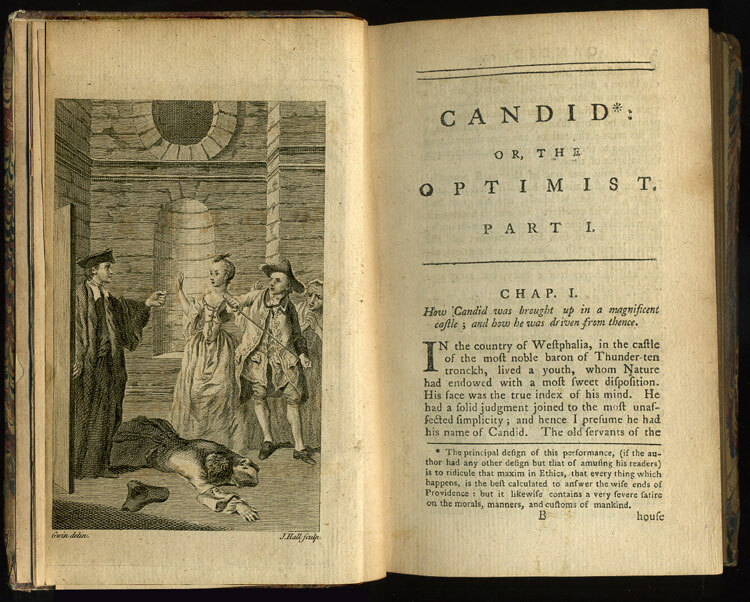 Based on a book by Hugh Wheeler, after Voltaire, Candide wasn’t, however, destined to have a smooth path to success. The production was beset by one challenge after another. At least six well-known personalities – including Lillian Hellman, Dorothy Parker, Stephen Sondheim and Bernstein himself – have had an input into the lyrics, and Candide has undergone a number of variations since the original opening on Broadway in 1956. There are currently five different versions available to license. None of this, however, can detract from the quality of the music, created by one of the greatest composers of the 20th century. With its brilliant overture – hugely popular as a standalone concert piece – the musical is fun and humorous, and chock-full of lyrical and memorable melodies. The story is narrated by Voltaire – who also takes on the personae of various characters who appear in it – telling of a young man, Candide, who, with his betrothed, Cunegonde, goes around the world on an extraordinary romp, believing passionately in the theory of his teacher, Dr Pangloss, that everything that happens is for the best, and that the world is wonderful, no matter what fate befalls them. Taking the title role in this concert version is tenor Andrew Stenson, a graduate of the Metropolitan Opera’s Lindemann Young Artist Development Program. The recipient of a 2011 Sara Tucker Study Grant from the Richard Tucker Foundation, Mr Stenson also took first prize in both the 2015 Giulio Gari International Vocal Competition and the 2016 Gerda Lissner Foundation Competition, and he has sung the role of Candide with Théâtre du Capitole, Toulouse and Opéra National de Bordeaux. Coloratura soprano Meghan Picerno is Cunegonde, a role she sang in New York City Opera’s acclaimed 2016 revival by Hal Prince. Described by The New York Times as “an exuberant Cunegonde”, she also delivered what New York Classical Review hailed as “by far the standout vocal peformance of the night”. Among Ms Picerno’s other recent appearances are those as Queen of the Night in productions of Mozart’s Die Zauberflöte at Lincoln Center and Carnegie Hall. The role of The Old Lady is sung by internationally renowned soprano Sheri Greenawald, director of the San Francisco Opera Center since 2002, and artistic director of the Merola Opera Program. Ms Greenawald has performed leading roles with some of the world’s leading companies, including San Francisco Opera, the Metropolitan Opera, Lyric Opera of Chicago, La Fenice in Venice, the Munich Bavarian State Opera, Théâtre du Châtelet in Paris, Teatro San Carlos in Naples, Welsh National Opera, Houston Grand Opera, Santa Fe Opera and Los Angeles Opera. Among the characters that Candide and Cunegonde come across is Paquette, sung by soprano Vanessa Becerra. A recent graduate of the acclaimed Domingo-Colburn-Stein Young Artist Program at LA Opera, Ms Becerra appeared at the 2017 Glimmerglass Festival in the role of Laurey Williams in Rodgers and Hammerstein’s Oklahoma! Her performance of Out of My Dreams was described by Opera News as “a moment of true vocal charm”. Other characters which Candide and Cunegonde meet are Maximillian and the Captain – both sung by baritone Hadleigh Adams, a graduate of the San Francisco Opera Merola Program, who was subsequently invited to join the Company as an Adler Fellow. The most recent appearance by Mr Hadleigh for San Francisco Opera was as Schaunard in La Bohème. The roles of Voltaire, Pangloss, Martin and Cacambo are sung by baritone Michael Todd Simpson, “an elegant baritone who sings with lustre and acts with conviction”, writes Huffington Post. Having appeared in most of the major opera houses in the United States, he also sings the role of Gaylord Ravenal on the DVD of San Francisco Opera’s production of Show Boat. 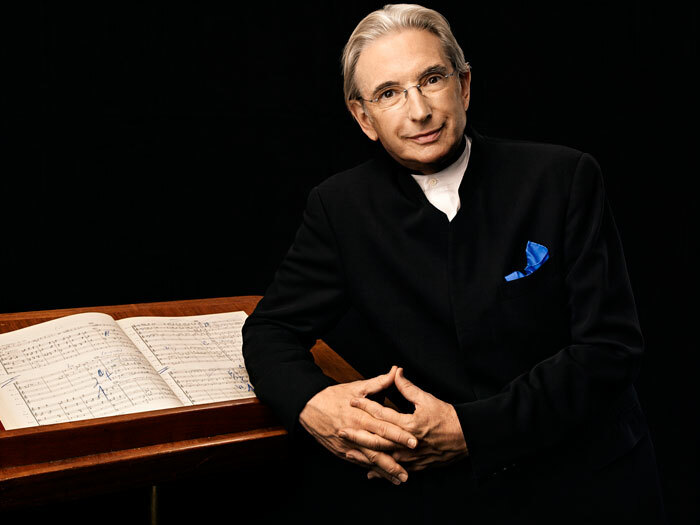 Michael Tilson Thomas leads the San Francisco Symphony, the San Francisco Symphony Chorus (director Ragnar Bohlin), and guest artists, in this production of Leonard Bernstein’s Candide which runs at Davies Symphony Hall from January 18 to 21. For more information, for performance times, and for tickets, visit the San Francisco Symphony website. An hour prior to the performances, Leonard Bernstein’s daughter and son – Nina Bernstein Simmons and Alexander Bernstein* – present an introduction to Candide, accompanied on the piano by Peter Grunberg. These introductions are free to ticketholders. *Alexander Bernstein will present on January 18 and 19, and Nina Bernstein on January 20 and 21. 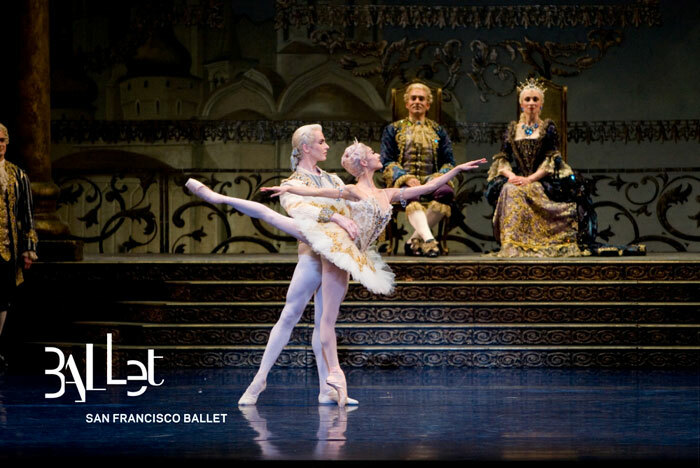 One of the joys of January in the city is the opening of the San Francisco Ballet season. This year, it promises to be particularly dazzling, and includes a production of The Sleeping Beauty, a celebration of the centennials of both Jerome Robbins and Leonard Bernstein, another opportunity to experience the drama of Liam Scarlett’s Frankenstein, the National Ballet of Canada’s production of Nijinsky, and Unbound – a festival of world premieres created specially for the Company by twelve international artists who rank among the finest choreographers of our time. First, though, there’s the Opening Night Gala, this year taking the theme Celestial, which brings to mind images of glittering stars, twinkling lights and heavenly performances. Students of the San Francisco Ballet School open the program with a ballet by Artistic Director Helgi Tomasson, to the enchanting Little Waltz by Eric Coates, one of many by the British composer known mainly for his ‘light music’. Jerome Robbins is represented by his 1969 ballet In the Night. This is a simply beautiful trio of pas de deux to three Chopin nocturnes, which provide the setting for each of three young couples – danced by Mathilde Froustey and Benjamin Freemantle, Jennifer Stahl and Tiit Helimets, Sarah Van Patten and Luke Ingham – who are going through a different phase in their respective relationships. The range of pas de deux in the program is eclectic, to say the least. In the Bluebird variation from The Sleeping Beauty, Dores André and Wei Wang give us a preview of the gorgeous opening work of the repertory season. Sasha De Sola and Angelo Greco perform the pas de deux from Le Corsaire – a perennial show-stopper, with its technical fireworks – and there’s a lovely excerpt from August Bournonville’s La Sylphide, created for The Royal Danish Ballet, and performed on this occasion by Maria Kochetkova with Ulrik Birkkjaer – new to San Francisco Ballet, who danced the role of James many times during his illustrious career with the Danish company. There are two contemporary works which are both new to SF Ballet. One is a pas de deux from Children of Chaos by Toronto choreographer Robert Binet, a work commissioned by Fall For Dance North, and inspired by Canadian dancers who left their home country to pursue careers elsewhere. It’s danced, appropriately, by one such dancer, Frances Chung, partnered by Joseph Walsh, both of whom appeared in the world premiere performance this past October. Choreographer Edwaard Liang provides the other new work – Letting Go – set to music by Max Richter, regarded as being one of the most prolific of contemporary composers. The other two works on the program are both very American and both hugely popular. The pas de deux from Balanchine’s Stars and Stripes is his wonderfully exuberant tribute to the Fourth of July – all patriotism for his adoptive home, vivid colors and John Philip Sousa. It’s a sparkling vehicle for Company newcomer Ana Sophia Scheller and seasoned SF Ballet artist Vitor Luiz in what will be their premiere performances in this rousing display of Americana. The Gala closes with Justin Peck’s version of the Four Dance Episodes from Aaron Copland’s Rodeo, which he wrote in 1942 for Agnes de Mille. Sofiane Sylve and Carlo Di Lanno star in this delightful celebration of life in the American West – which was to become one of Copland’s most enduringly popular works. 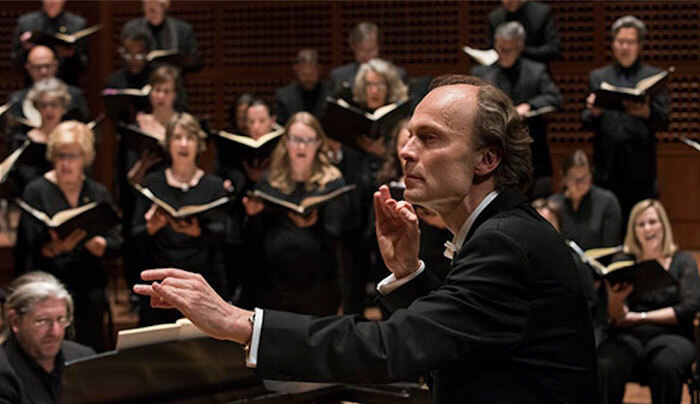 Conductor Martin West leads the Grammy Award-winning San Francisco Ballet Orchestra, and also appearing are pianists Roy Bogas (the Chopin nocturnes) and Natal’ya Feygina who plays John Kameel Farah’s music for Children of Chaos. San Francisco Ballet’s Opening Night Gala takes place at the War Memorial Opera House on Thursday, January 18. For more information and for tickets, visit the San Francisco Ballet website. Note: Although the dancers listed in this article are scheduled to perform in the Opening Gala, San Francisco Ballet reserves the right, as ever, to make cast changes should they be necessary. There’s an interesting concert at Davies Symphony Hall this week. 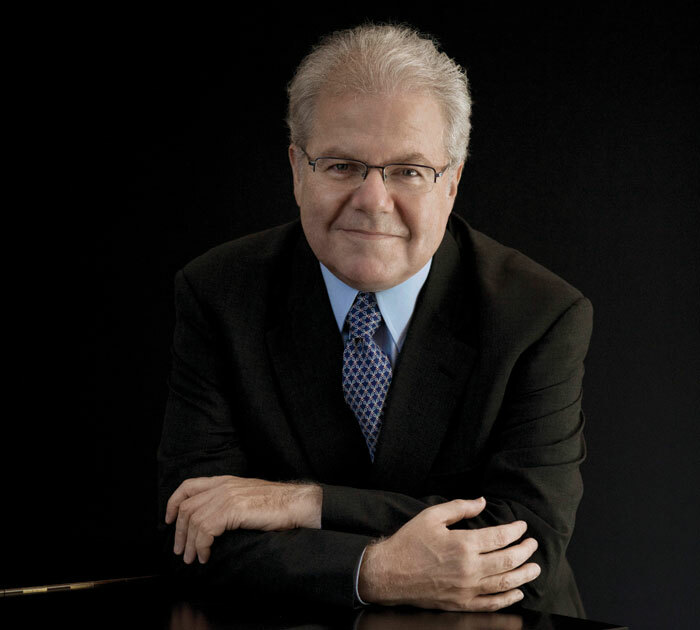 Michael Tilson Thomas and the San Francisco Symphony are joined by guest artist Emanuel Ax who plays not one, but two, piano concertos – and they really couldn’t be more different – Mozart’s Piano Concerto No 14 and Schoenberg’s Piano Concerto No 42. Ax, described by The Telegraph as a pianist with a “stellar reputation”, laughingly cites the English idiom ‘chalk and cheese’ in his reference to the difference between these two composers. He calls the Mozart work “a “a great gem of a piece …. very, very beautiful with wonderful, wonderful harmonic movements…”, and then goes on to explain the probability that Schoenberg developed the twelve-tone technique because he didn’t feel that “tonality and the harmonic hierarchy” worked any more and that he had “to find a new language”. Whatever the rationale, this will be a fascinating program, and Emanuel Ax will be as wonderful as ever! The program opens with Beethoven’s Leonore Overture No 3, itself not without interest, since it was one of four overtures written for Fidelio, one of three versions of the only opera that Beethoven wrote. Fidelio was originally called Leonore, and is known as a ‘rescue opera’, because it was based on the theme of courageous wives who risked their lives to save their condemned husbands – a theme which became popular around the time of the French Revolution, and which spread to other parts of Europe in the early 1880s. The Leonore Overture No 3, written in 1806, was the most successful of the overtures. The final work is one of Richard Strauss’ most popular tone poems, Till Eulenspiegel’s Merry Pranks. A jaunty piece, it tells of a serial prankster from a 14th century German folk tale, who refused to bow to convention and whose antics finally landed him in trouble. Michael Tilson Thomas leads the San Francisco Symphony and guest artist Emanuel Ax at Davies Symphony Hall on January 11, 12 and 13. For more information, and for tickets, visit the San Francisco Symphony website. Trumpeter extraordinaire Chris Botti makes a very welcome return visit to SFJAZZ this week, playing in the Miner Auditorium for nine performances – four of which are nearly sold out. This comes as no surprise, since the world’s biggest-selling jazz instrumentalist is as popular here as he is the world over, with sales of over 3 million albums to his credit. The artist who, at the age of 12, was initially inspired by hearing Miles Davis playing My Funny Valentine, has appeared and/or worked with names such as Frank Sinatra, Joni Mitchell, Sting, Mark Knopfler, Herbie Hancock, Andrea Bocelli and Yo Yo Ma. He was also commissioned to perform his version of Chopin’s Prelude No 20 in Warsaw for the anniversary of the composer’s birth, has recorded an album with the Boston Pops Orchestra, and won a GRAMMY for Best Pop Instrumental Album with his 2012 release Impressions. He therefore needs no introduction to Bay Area audiences, however a review which appeared in Arts ATL last June indicates that Chris Botti is riding as high as ever. His tone was described as “a luxurious blanket of sound that conjures a hint of nostalgia”, and his interpretation of My Funny Valentine as “alchemy itself, a mysterious transformation of mood that only an artist like Botti can summon”. 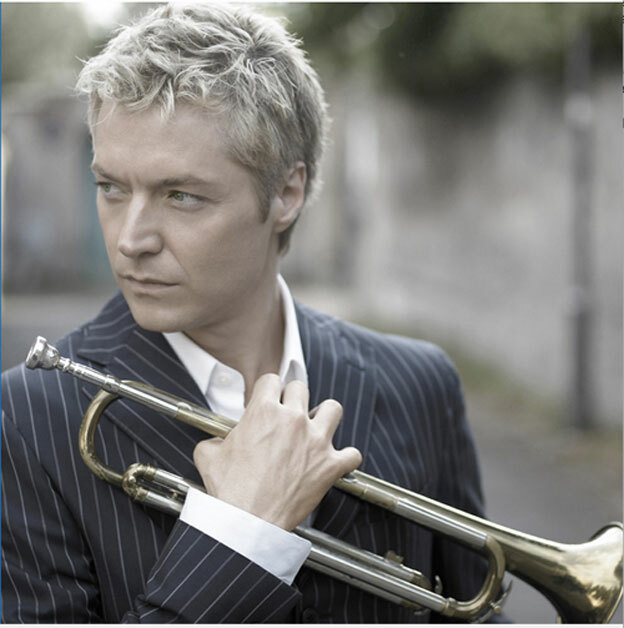 Chris Botti appears in the Miner Auditorium from January 9 to 14. For tickets and more information, visit the SFJAZZ website.